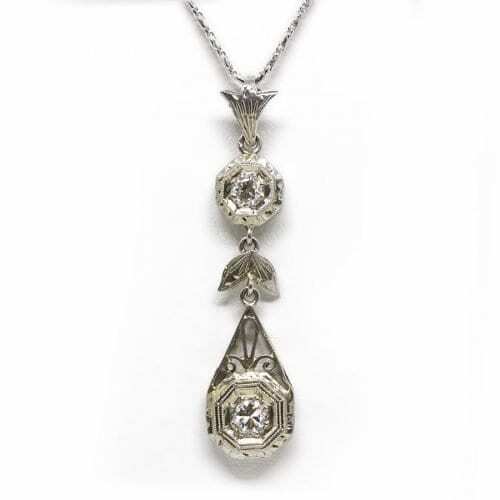 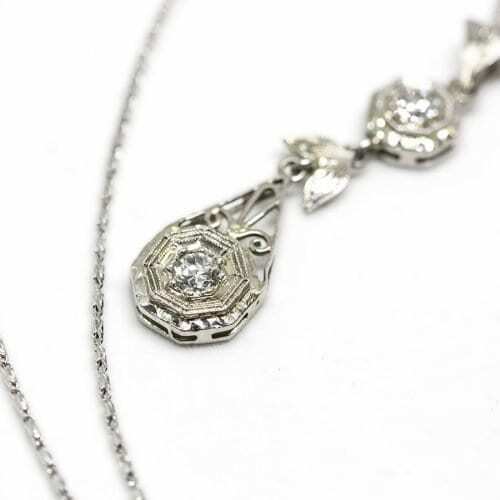 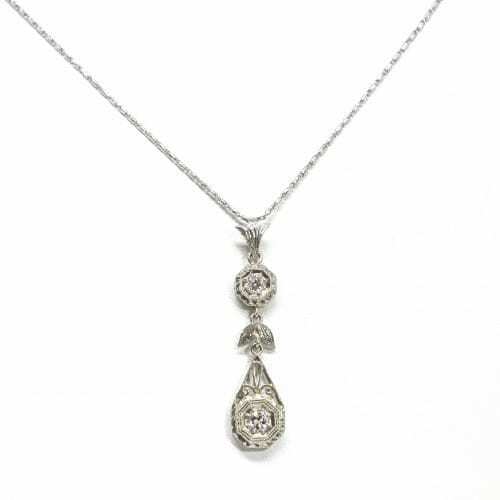 14 carat white gold and platinum Art Deco Diamond Dangle Pendant from 1910. The pendant features two old mine cut diamonds that total .50 carats. 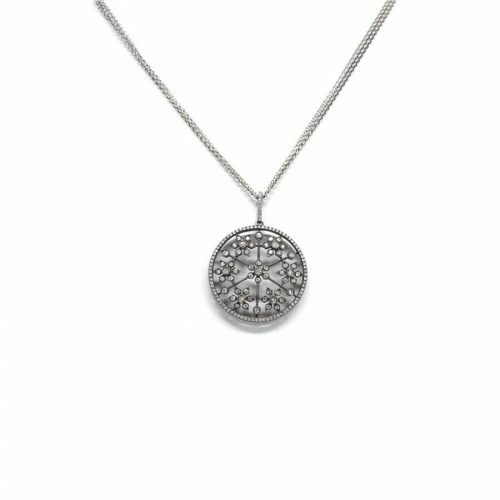 The pendant features hand engraving milgrain detailing. 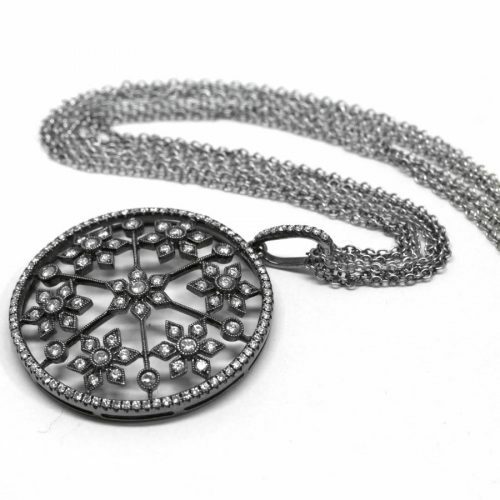 The pendant is hung on an 18 inch razzle chain.